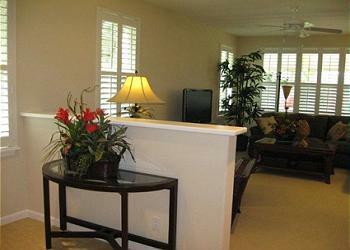 Spacious and elegantly appointed, this brand new 2 bedroom, 2 bath villa is suited with contemporary Hawaiian feel. 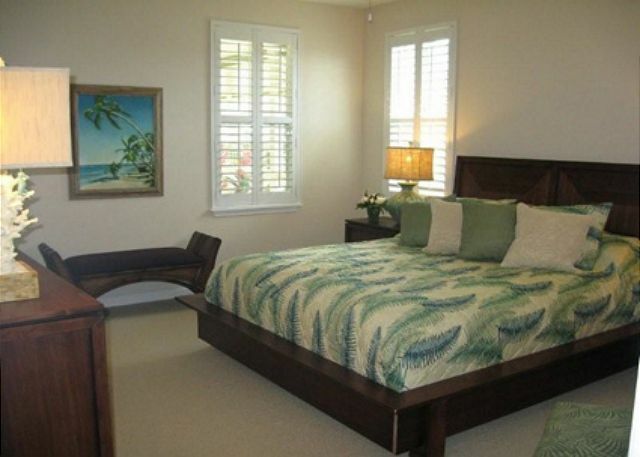 With over 1,400 square feet of living space it is perfect for 1-6 people looking for a quality vacation home. This little piece of paradise is fit with central A/C, covered garage parking, a quaint lanai with outdoor dining arrangements and beach gear galore. You are invited to relax, luxuriate and unwind in the heart of Princeville at the exclusive and tranquil Nihilani Resort. We had a wonderful stay. 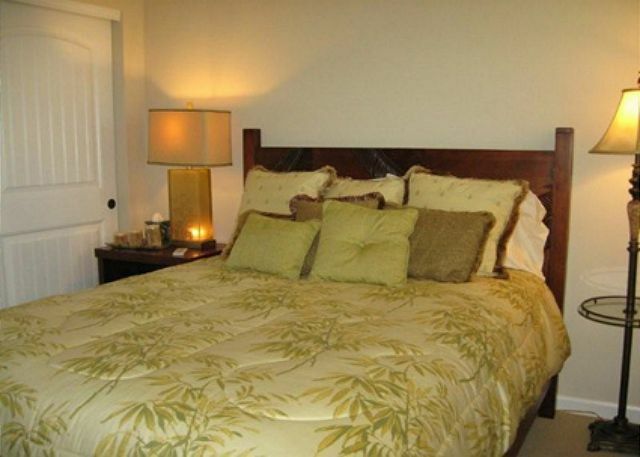 The amenities were great and location was short drive to local shopping and beaches. Paths for walking and running too! Excellent! My daughters and I meet here every year and will return forever! As we get older, will meet every 6months. We call this paradise our second home sweet home! Our accomendations were just perfect! This place is so clean and feels spacious! Very nice condo. Clean, good condition, nicely decorated. Having a garage was nice. Complex was pretty quiet during our stay. No complaints. They obviously enjoyed the property! It is unfortunate that the accidentally gave us 1 stare in every category and this can not be changed! 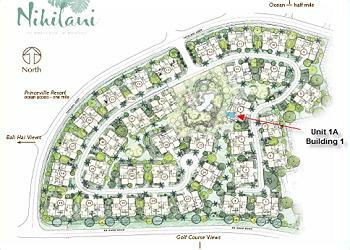 "NIHILANI 1A" IS A BEAUTIFUL AND VERY WELL APPOINTED CONDO IT HAS EVERYTHING YOU NEED, GREAT BEDS, VERY CLEAN, GREAT KITCHEN ETC. 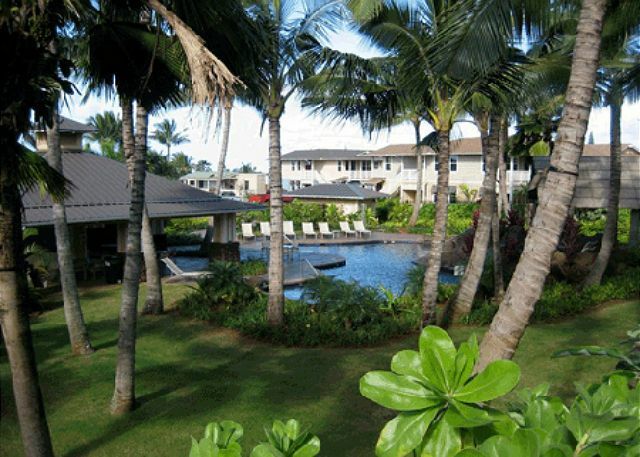 FOR OUR FRIENDS WHO ARE FIRST TIMERS TO HAWAII IT WAS MESMERIZING HOW BEAUTIFUL AND WELL KEPT THE GROUNDS OF NIHILANI WERE MAINTAINED AND THE SURROUNDINGS OF THE POOL AREA IS SUPERB. IT WAS A PLEASURE STAYING THERE AND ENJOYING SITTING ON THE CONDO TERRACE WATCHING THE BEAUTIFUL SURROUNDINGS AND FRIENDLY NATIVES (BIRDS) COME AND SAY HELLO. WILL DEFINATELY COME BACK TO NIHILANI AND THIS CONDO. This beautiful, 2-bedroom condo has everything anyone could want for a fabulous vacation. 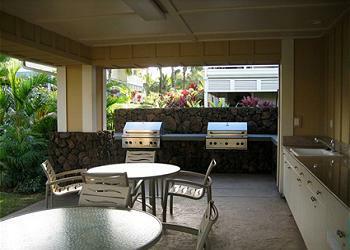 Two Mainland couples, former Oahu neighbors, shared a downstairs unit across a locked fence from the pool. We enjoyed well equipped kitchen, bikes, beach towels, etc and one of us loved the AC. We noticed baby gear which young families would appreciate. SoCal decor is handsome, although we missed laidback Kauai style. 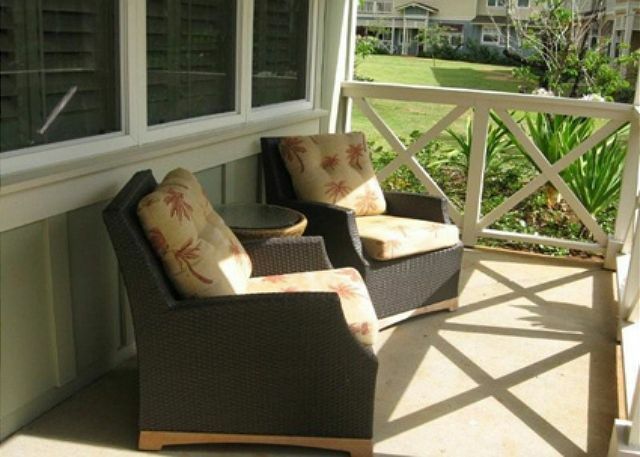 In all,this is a quiet, well maintained, attractive unit, good perch from which to discover the North Shore. Some fixes needed: sync the multiple remotes on all the TVs (too aggravating to contend with on arrival). Sleepers in master suite had cuts and bruises from the nasty wide-rail trim around the bed. We could have used two garage-door remotes and two pool keys. Power-washing came as a surprise one morning, but hey, it sent us packing to Anini Beach. We've been coming to Kauai for decades, exploring and writing about it, loving it on foot, in cars and boats, by air and water and food and culture and beach. It did not disappoint us this time, either. So many good beaches! A few high points: We celebrated our double birthdays at JO2, happy to find Jean-Marie Josselin again excelling nearby in Kapaa. At Princeville, don't miss Happy Talk Lounge with its killer view, 10 tvs for sports after dark, live local entertainment and tasty simple menu for lunch and dinner in the bar. Dinner at Mediterranean Gourmet by Hanalei Colony Resort was truly great and worth the drive. We enjoyed the Foodland deli and poke bar, particularly the California roll ahi poke (ono! ), and the Saturday morning farmers market at Hanalei. Tahiti Nui remains its same wonderful, ageless self, not wrecked by (The Descendants) movie stardom. 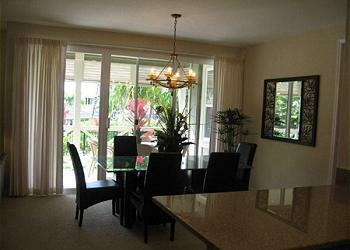 A very nice condo in Princeville. Very clean, very update. No real view from the lanai, but nice garden setting. We really enjoyed being in the Nihilani area of Princeville. The grounds are immaculate, the neighborhood quiet and the pool, spa and BBQ are great. Strongly recommend staying in the Nihilani complex if you're coming to the North Shore of Kauai! The perfect place to vacation! And Kauai Exclusive did a great job of coordinating all of the details. Thank you! Perfect accommodations and excellent weather made it a trip to remember! We greatly enjoyed going for bike rides on the provided beach cruisers. We had a wonderful stay in this apartment . Extremely clean (looks more amazing than the photos ) ...well equipped and spacious . Very handy having a garage for our hire car . It was great having access to snorkelling gear to . We would have loved to have gone cycling a little more but there was four of us and only two bikes with one not in very good working order . Our only complaint was that the pool was under maintenance while we were there and had been emptied . I understand these things need to be carried out but it would have been nice to have known this before we booked . As fantastic as this place was I think we would have looked elsewhere .Sadly our plans of sitting and relaxing by the pool after being out all day were not to be . Enjoyed the stay at this beautiful condo. Thank you. Our mouths dropped when we walked in! Usually pictures are better... But not this time! The condo is beautifully decorated, well equipped with everything you can hope for, and soooo clean!! The complex and the pool are also beautiful! We visit Kauai every year and will now be returning to nihilani 1a everytime! We have travelled extensively throughout the world and found this condo to be the best value for our money of anywhere we have stayed. The management staff was very helpful also! How often do you see those words together? When you're talking about Nihilani Tropical Villa. 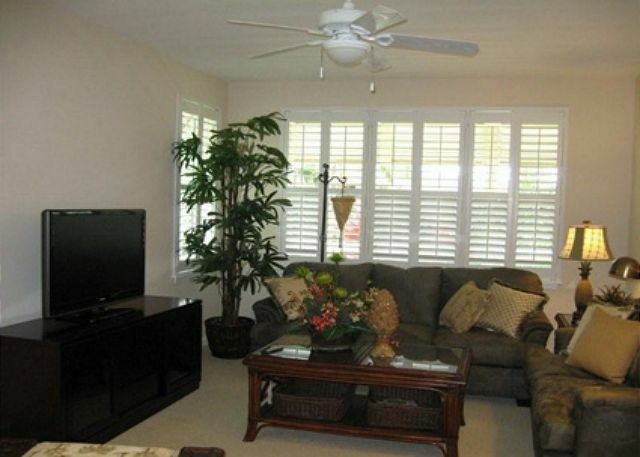 Nicely appointed 2 bedroom/2 bath condo located on the interior of the complex. Luxury finishes and thoughtfully furnished with all sorts of beach accessories, books, games and wifi. Netflix account is also available for those nights when you want to watch a movie. It was a wonderful experience and I would recommended it to all! What a great place to vacation. Felt really comfortable and homey the minute we stepped through the door. Owner has put a lot into making this feel like a home and not a rental unit. We are an active family of 4 with teenagers and found this place perfect. 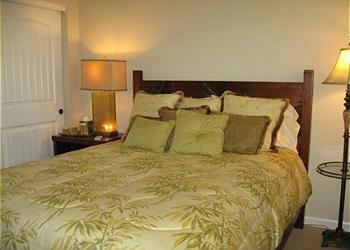 Very comfortable, spacious, clean - relaxing to come back to after an active day on the island. Definitely exceeded our expectations with furnishings, amenities and supplies. It had everything we possibly needed. Also, very convenient to get to market and all north shore activities. 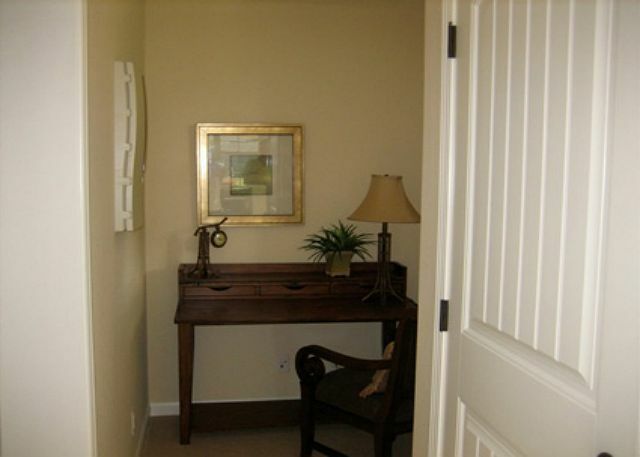 Unit location in complex is great and very quiet which was appreciated. We moved on to Grand Hyatt for rest of vacation and really missed this place. Would definitely go back and highly recommend to friends. 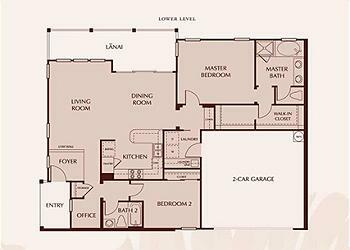 Great size and layout for my family and I. Great kitchen. Master bed bath were great. Was great having a garage to park and keep all the sandy toys in. Lanai view over the pool is very relaxing. House and furniture are in very good shape and stocked with bikes games beach toys, and games. We loved relaxing on the lanai and by the pool. The pool area has beautiful landscaping and a great BBQ area. Princeville is a great area, and the condo is near the shopping center and less than 10 min to Hanalei. Or two mi to the StRegis for dinner and drinks. We had a wonderful stay at Nihilani! 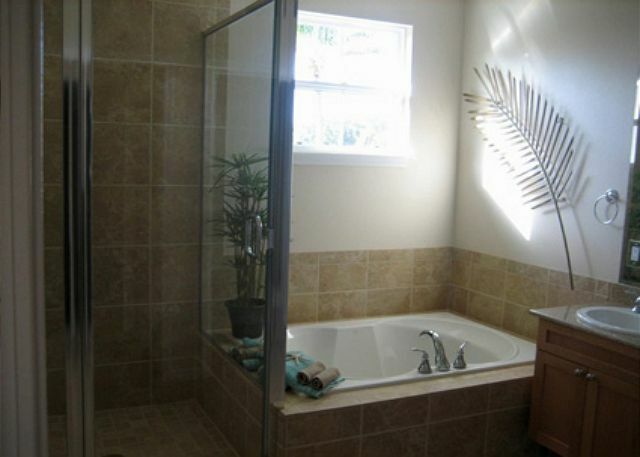 The condo was extremely clean, beautifully decorated, and all the supplies you need in the kitchen and bathrooms. There were even snorkeling gear and boogie boards in the garage. Every time we walked in the door, it felt like home! We will definitely stay there next time we're in Kauai! And I would like to thank Josh for all his help with the wireless!! Kauai Exclusive was very helpful, professional and provided a personalized service that we've not experienced in our 15 years of traveling to Hawai'i. They're located ON Kauai so you have someone local to deal with. The property was better than advertised, was spotless and very quiet. 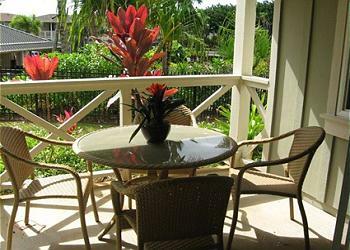 We're a bit leery of vacation rental agencies as we've been burned several times in the past, but I can and I do *highly recommend* Kauai Exclusive! 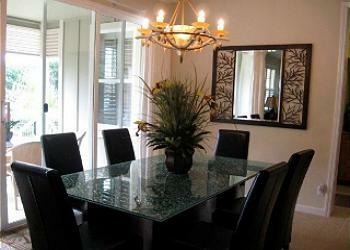 We were treated with authentic Aloha from the online reservations to the personal assistance upon arrival. The management staff was gracious and welcoming. Wpuld recmmend this property for the convenience and comfortable access to the North Shore of Kaua'i. I recently spent 10 nights at the Nihilani Tropical Villa and it was a wonderful stay. The condo is well-situated, beautifully decorated and well-equipped. 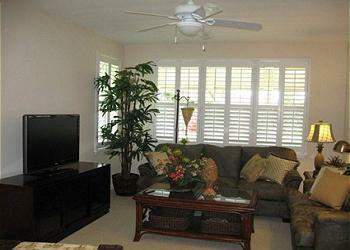 Open the windows and let in the trade winds, no need for AC! There is even a 2 car garage with snorkel sets, bikes, boogie boards and chairs for the beach. It was just like being at home, only in was way better!! It was home on Hawaii's most beautiful island, Kauai. We could have stayed forever! This condo is exceptional. 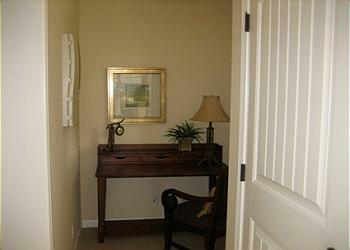 It has every amenity one can ever need with all the comforts of home. It is very tastefully decorated, clean and well taken care of, great view, close to the pool, and very quiet. 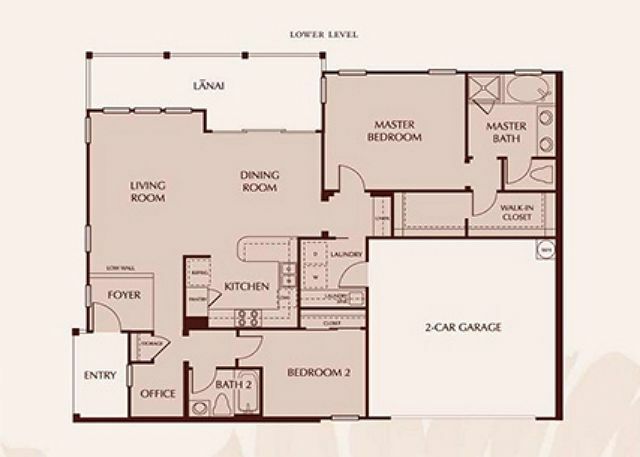 The centrally located kitchen/dining room/living area separates each bedroom/bath. Easy access from the garage into the laundry room complete with counter and sink. Cozy office for your computer. 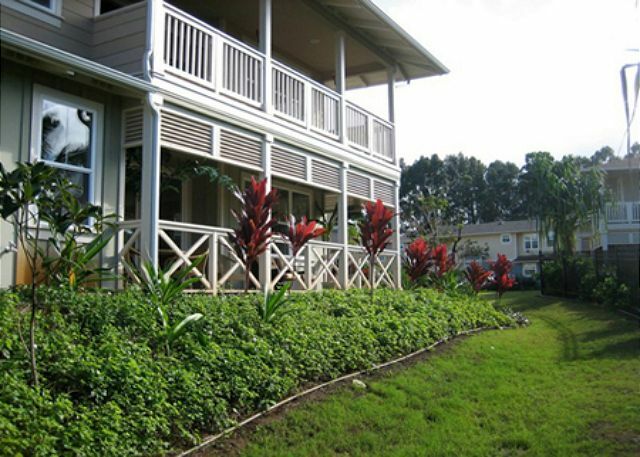 If you want to stay in Princeville, this is it!